Pickle Juice may be better for you than a sports drink! "Pickle juice" — because that's a much more straightforward term than "brine" — is well suited for drinking after a lot of sweating because it can help refuel your body's potassium, sodium, and electrolyte reserves, per Insider. According to Backe, it's less about how much of these nutrients the juice actually contains and more about how quickly it can transport them throughout the body. Since you're sorely missing potassium, sodium, and electrolytes after a tough exercise session, the faster you can rebuild them, the better. 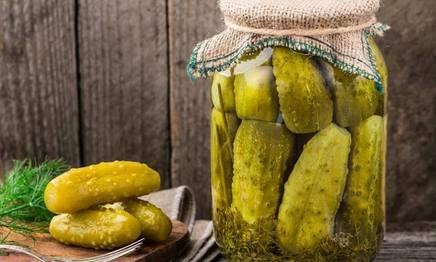 Pickle juice's high sodium content can also help ease muscle cramps, which is obviously helpful after a long run or stint in the weight room.